The Exhibition U-N-F-O-L-D exhibition continues until 15 December in New York City at the Sheila C. Johnson Design Center (SJDC) at Parsons The New School for Design. 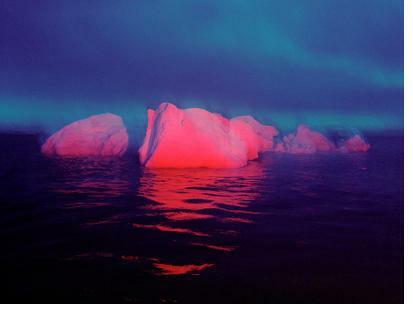 It shows the work of twenty-five artists who took part in Cape Farewell expeditions 2007 and 2008 to the High Arctic and 2009 to the Andes, where they were able to witness the consequences of climate change and global warming. Their work is an innovative response to these processes and explores the role that human activity plays in it. In this way the artists aim to raise awareness and create a cultural shift through their work. The programme of public events and performances can be downloaded here. A series of exciting lectures, panels and special events are broadcasted on newschoolradio.org. In February 2012 the U-N-F-O-L-D heads to Liverpool, where it opens at John Moores University.